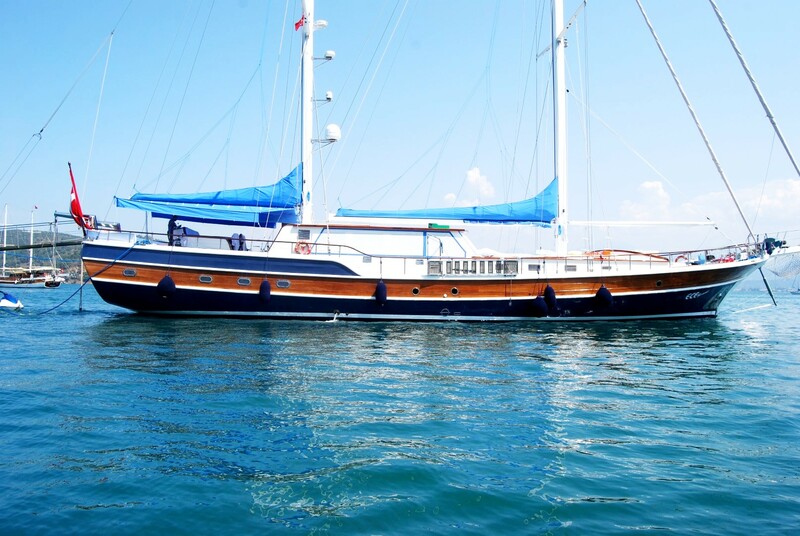 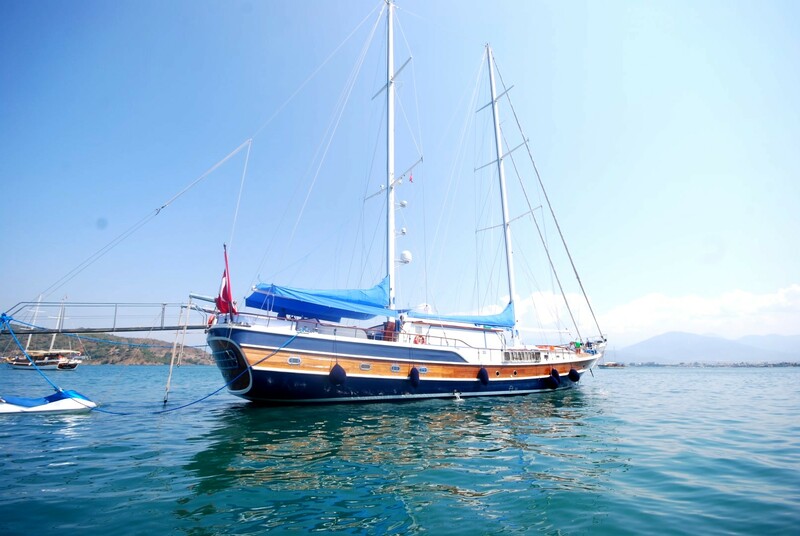 The sailing gulet ECE BERRAK is a 2008 build, she measures 33m (108') and accommodates 10 charter guests, across 5 cabins. 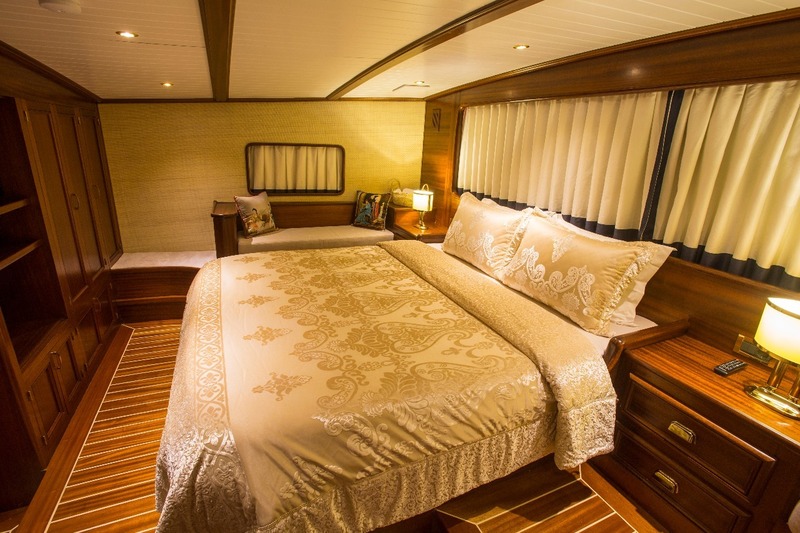 Her interior styling is elegant, using beautiful teak and holly flooring, paired with warm panels and neutral furnishings throughout. 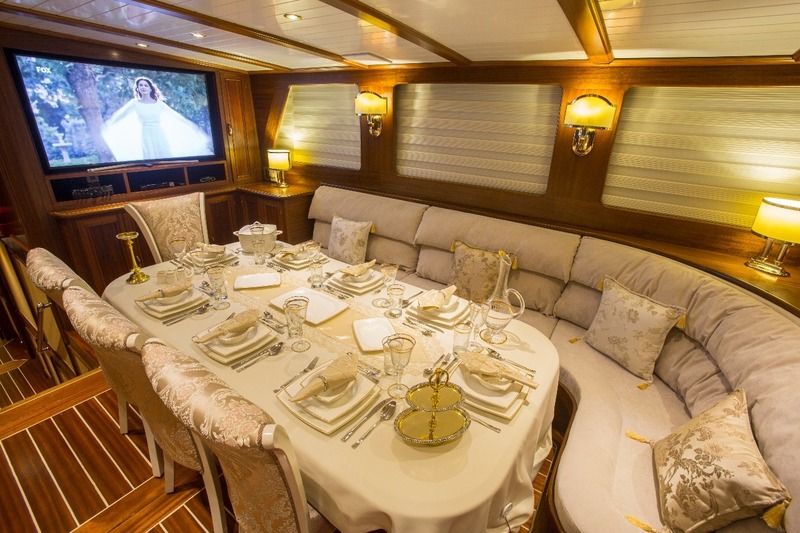 An open plan salon and dining is ideal for gathering with friends and family, it has a wonderful social ambiance and plenty of natural light. 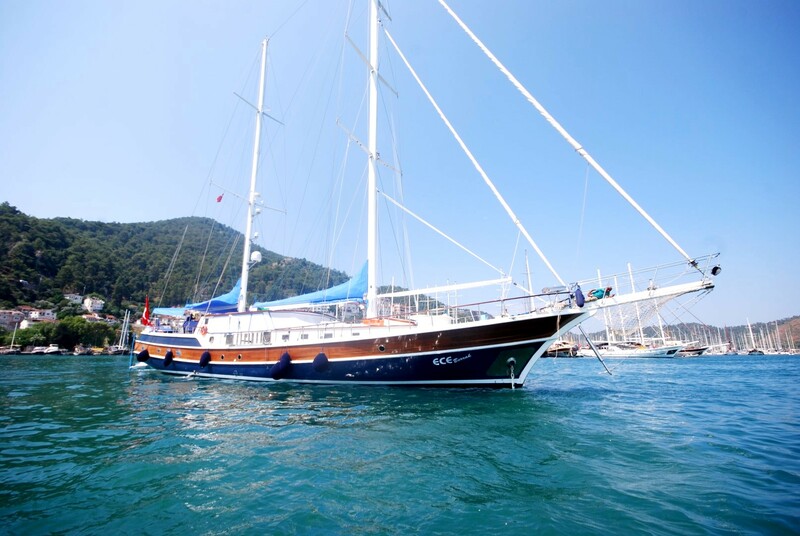 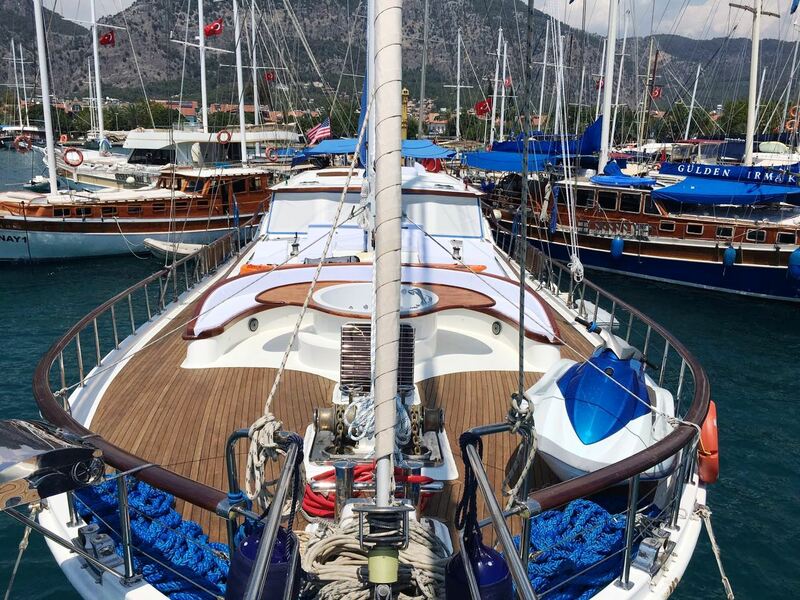 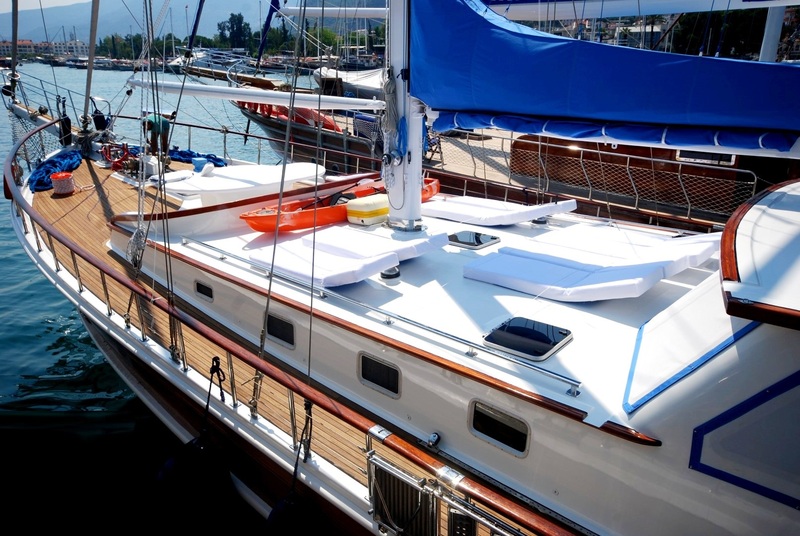 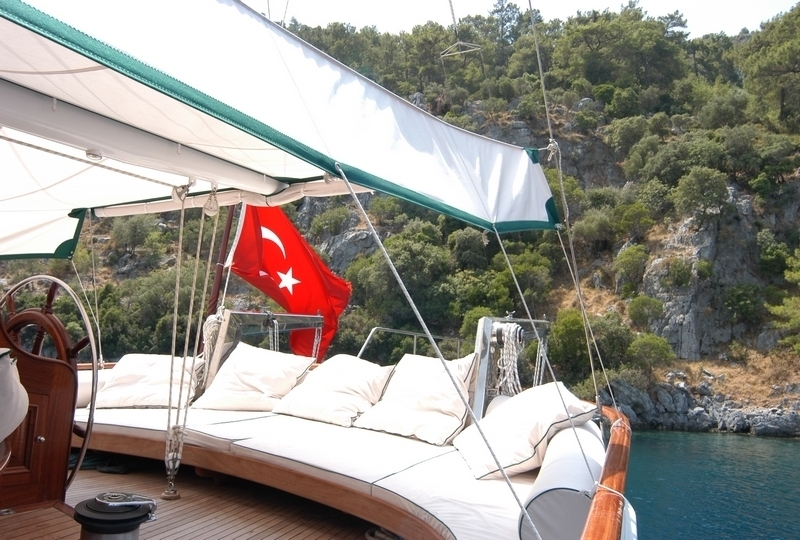 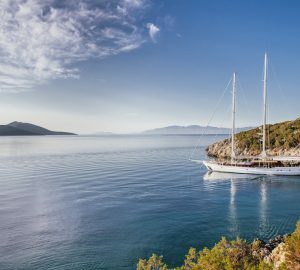 The outdoor lifestyle aboard ECE BERRAK is perfect for luxury sailing vacations. 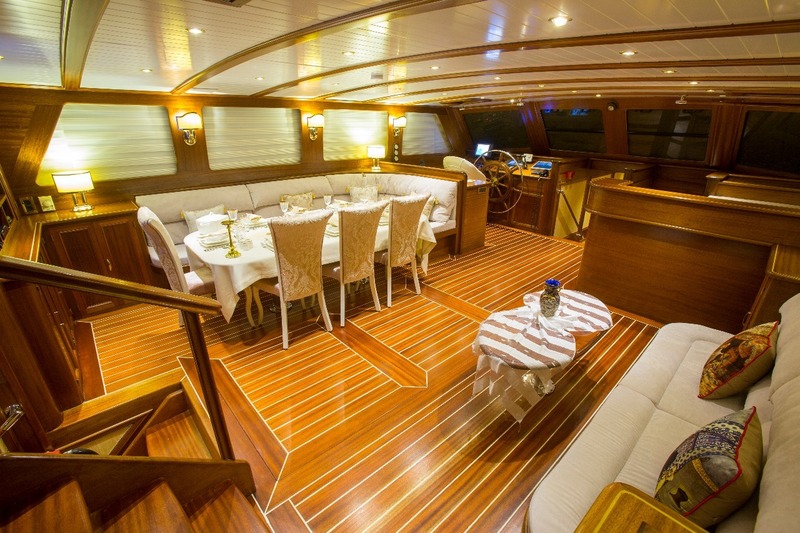 A generous aft deck has alfresco dining and full beam aft seating, great for soaking up the sun. 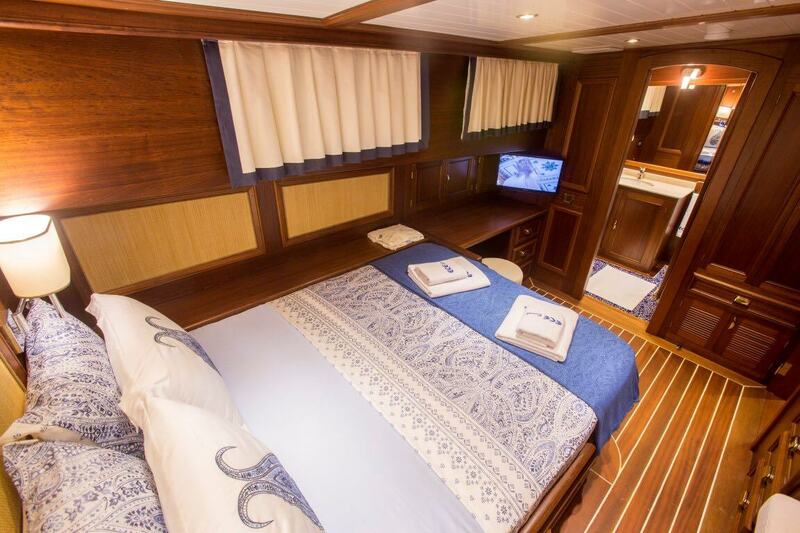 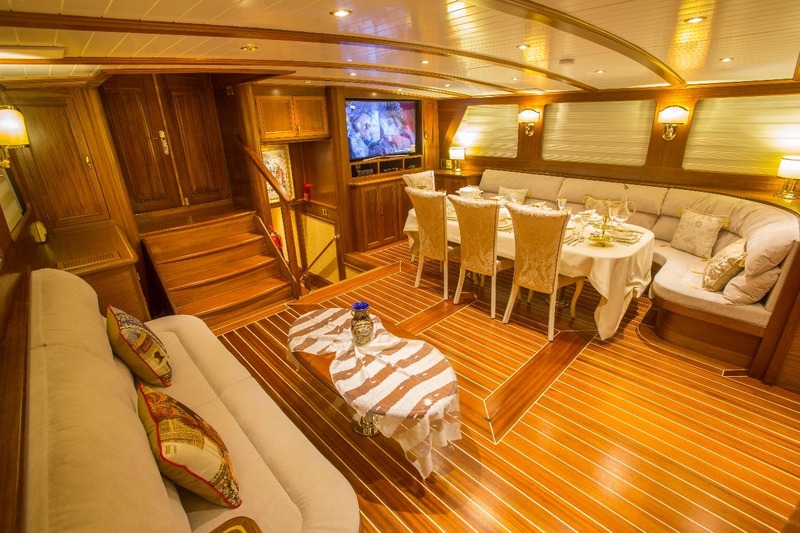 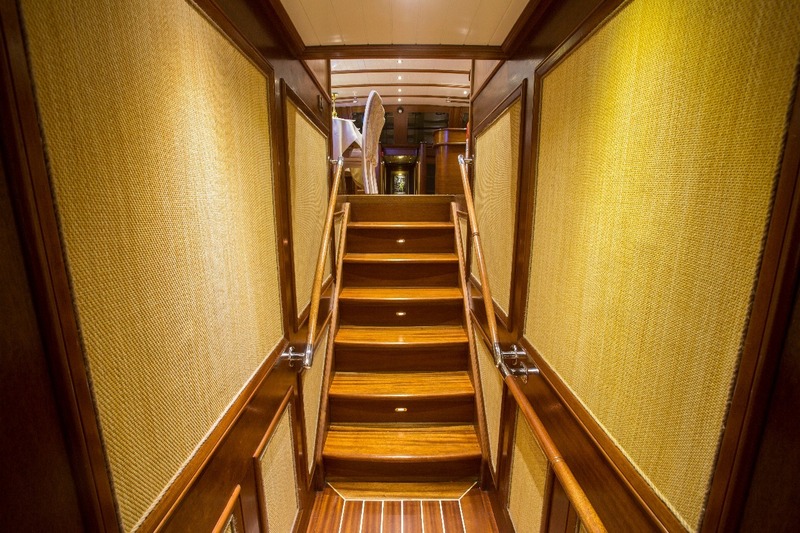 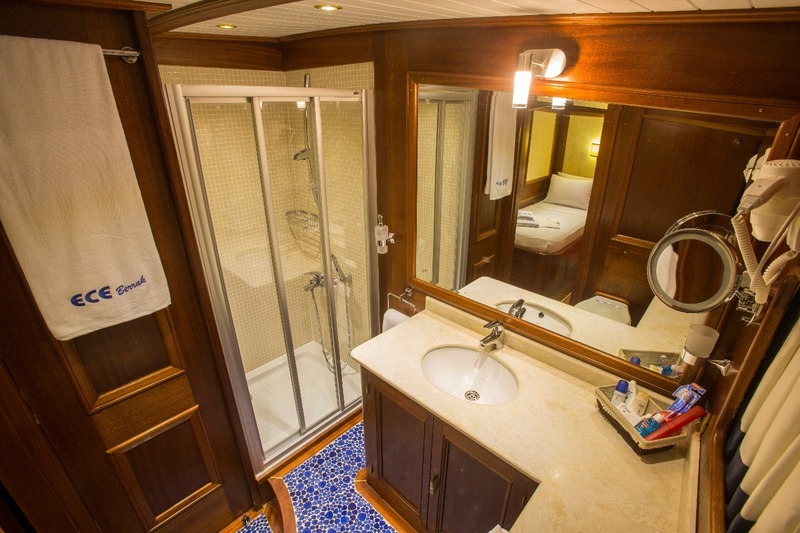 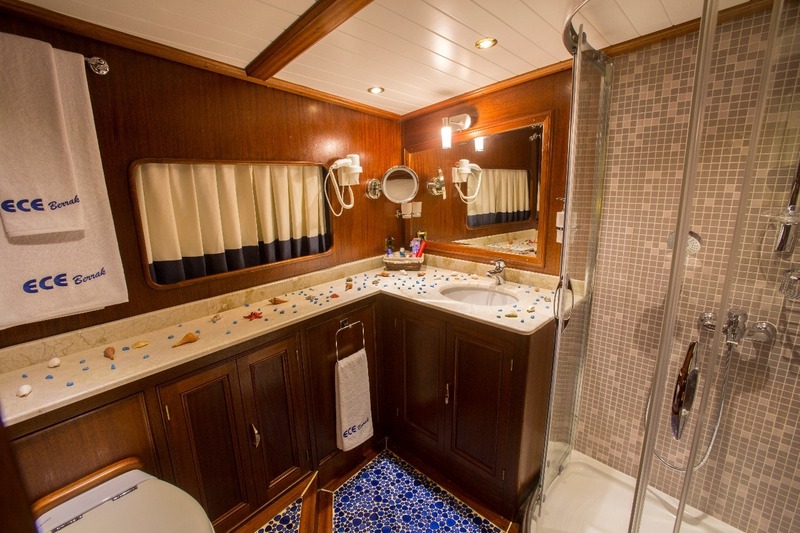 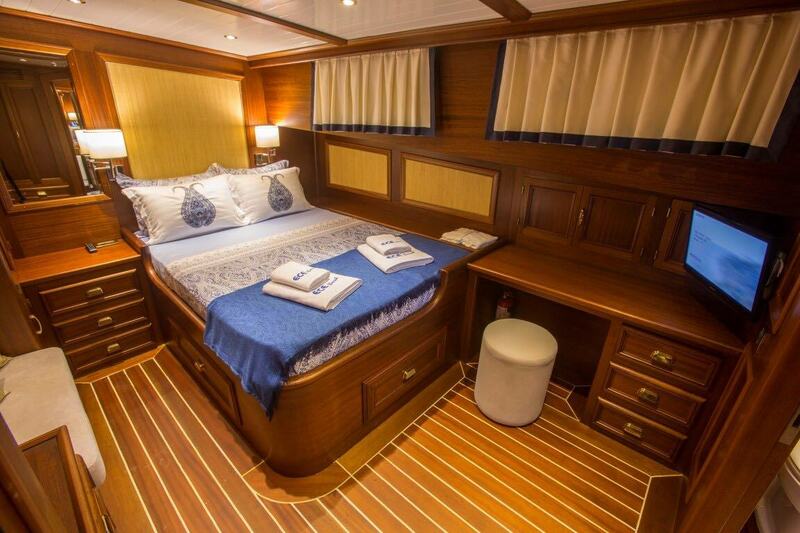 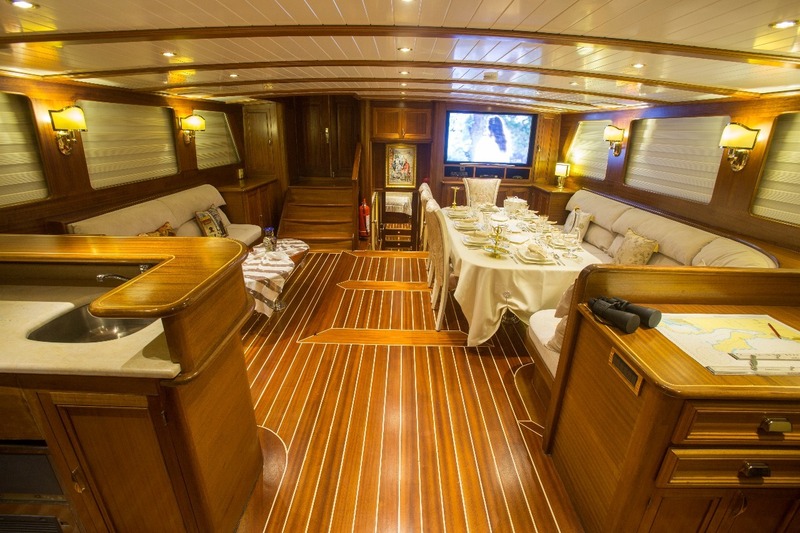 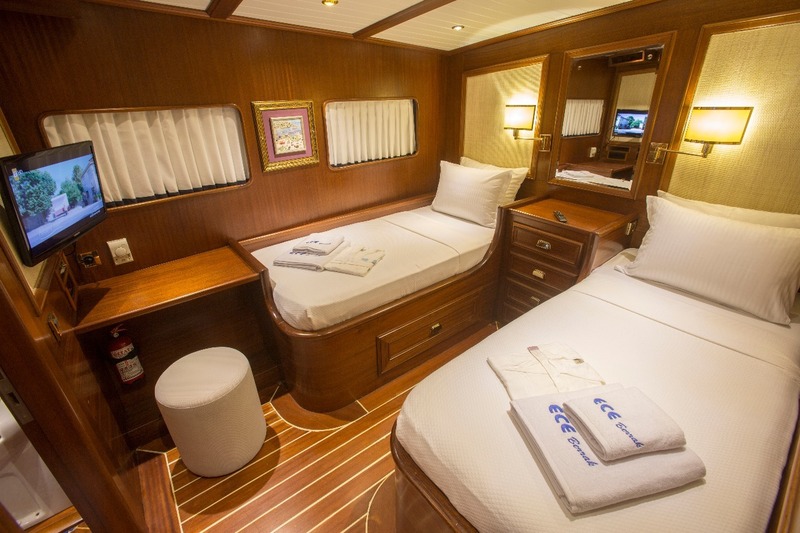 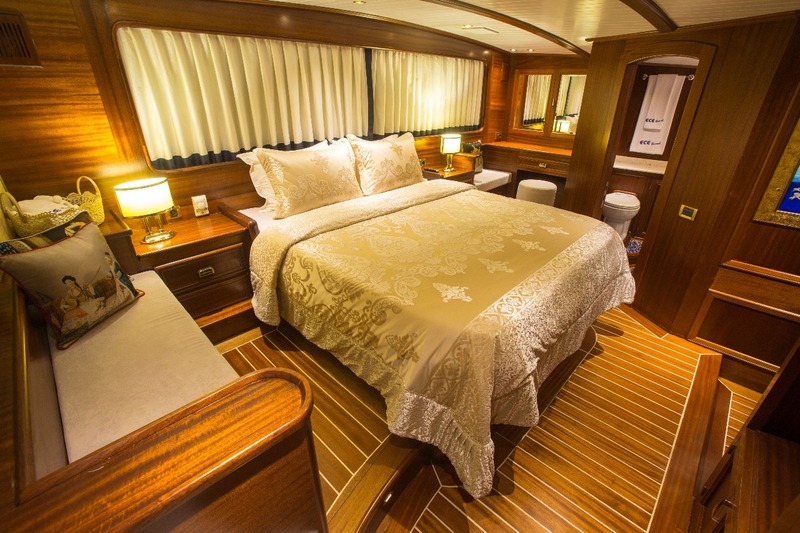 Situated on the foredeck, is a seating area and deluxe jacuzzi. 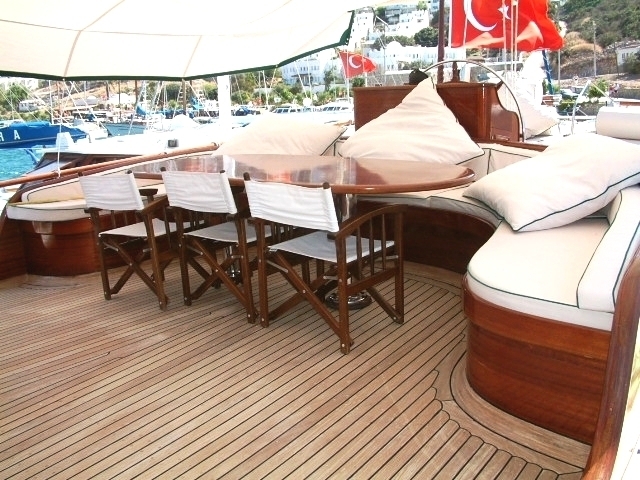 On top of the cabin house in a raised position are numerous sunpads. 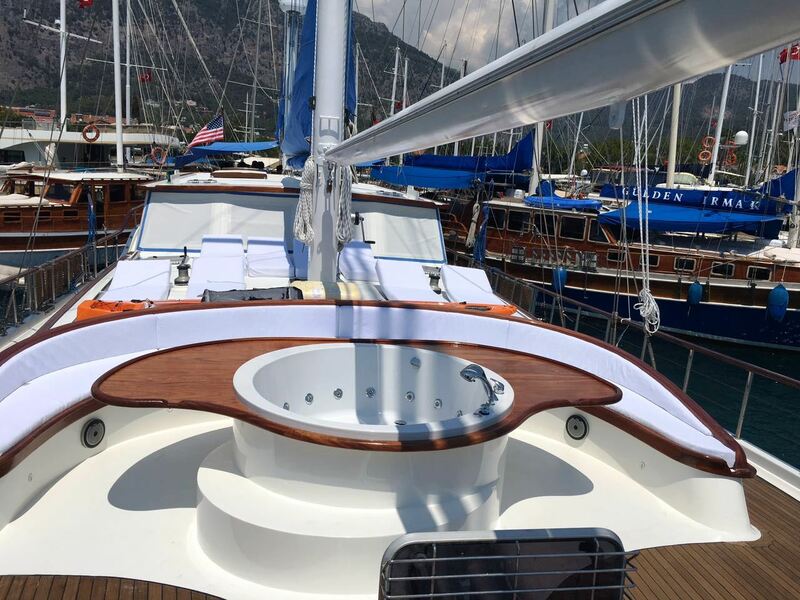 Twin 360hp engines power the yacht cruising at 6 - 8 knots. 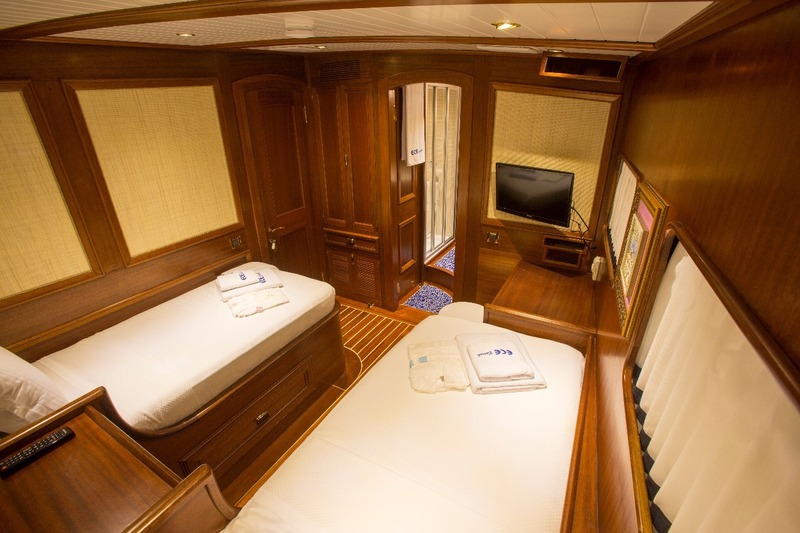 Accommodation comprises a master stateroom aft and full beam of the yacht, 2 twin cabins on port and starboard aft of the salon, plus a further 2 double cabins forward of the salon.